Tell a man that he could possibly have a heart attack when making love. Then tell him that it would be safer for him to come to the hospital and make love while being monitored by a physician. Do you think a doctor coming in to take his blood pressure and monitor his heart every 10 minutes would affect his performance? This is the question Saraswathi Vedam asks when giving an analogy about women and their birth choices. In many cases, women birth in an unfamiliar environment and are separated from their loved ones during labor. In an unfamiliar place with unfamiliar people, women are expected to perform at their very best and deliver on someone else’s time. Even zoo animals do not have to experience such a thing. But why do so many mothers? 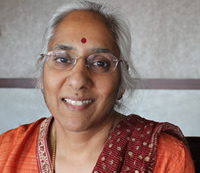 Saraswathi Vedam, RM, FACNM, MSN, Sci D (h.c.) is Associate Professor of Midwifery at University of British Columbia. She serves as Senior Advisor to the MANA Division of Research, ACNM representative the MANA-ACNM Liaison Council, and Interim Executive Board Member, Canadian Association of Midwifery Educators. She is also a co-author of two upcoming research articles on the largest dataset on planned home births in the United States. To learn more about the research, click here. Iola Kostrzewski is a volunteer online community manager for Midwives Alliance of North America. She is a doula and Midwifery student starting in September. She is mom of two boys and creator of Breastfeeding in Color. 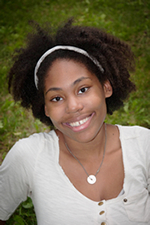 Her passions in birth pertain to birthing and breastfeeding outcomes within the African American community.